July 1 - 30: July is generally a really good month for me and this year was no different. I spent July getting ready for Thailand. Remy had summer camp and M and I got to spend a lot of time together. Happiness, adventure, tired, overwhelm - all of this and more, in three weeks. This month also marks the date when I bought my new phone, the Nokia Lumia 928. 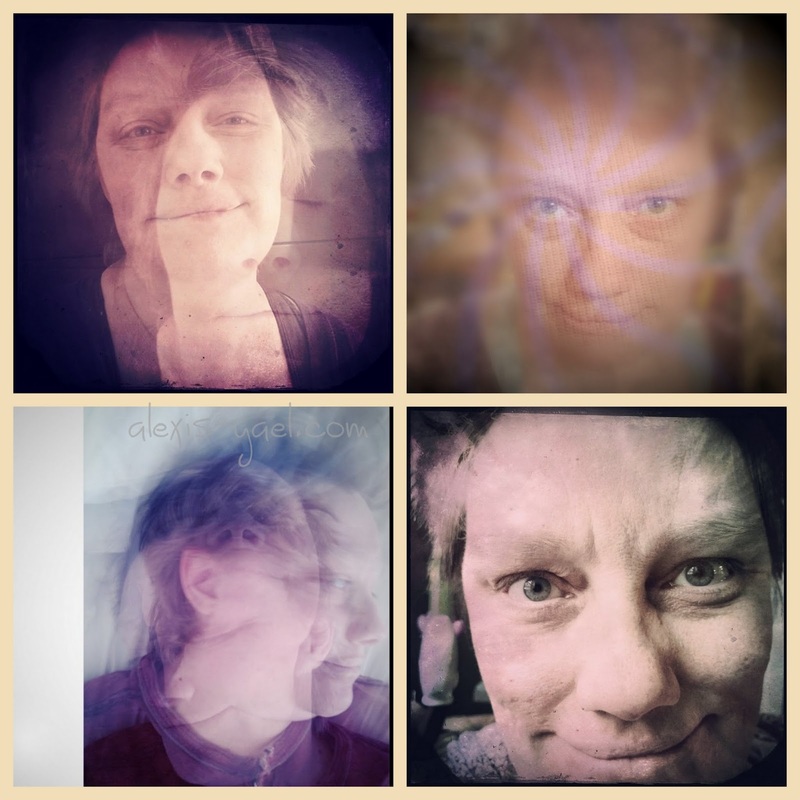 That first photo up there is the first selfie I took on my new phone, with Hipstamatic's Oggl app. August 29 - September 27: my friend's son Caleb died on September 3rd. May his memory be a blessing, always. So much grief in this world. I cannot have grief without love, or love without grief. September 28 - October 27: I taught the first class of souling the self surreal in October. We went to Arizona for a family bar mitzvah. I felt really, really grateful for my self-care practice in October and for my family. October 29 - November 27: every day in November I wrote a mood ring poem with my selfie for the day. Originally, I offered it as a class (a November edition of the poeming into the now class, with an emphasis on mood ring poems). That didn't work. I scaled back. That was a lesson. It was hard. I felt rejected. But I stayed with the poeming (not with fictioning, tho. I did not complete NaNoWriMo). I had fun reading the poems of the people who joined me in the scaled back edition. We went back to Toronto. My MIL and her partner came to visit. I had a tooth pulled (not the tooth I expected, a molar, so it was a harder recovery than expected). I was thankful for all of it. November 28 - December 27 (and the last four photos of the year, to the 31st): my birthday, still recovering from the molar extraction. Then the final baby tooth removed. I am embracing it all. So what does the entire set of 365 photographs tell me? What is my takeaway message of the year, of the project? 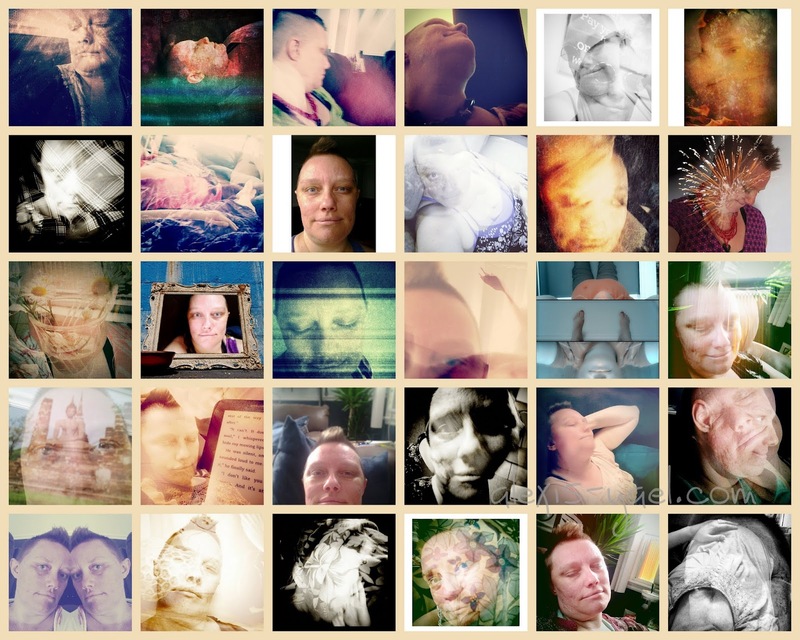 If there is any lesson I have learned in taking these 365 photos, it is this: when I show up for the grief and pain, I show up for the love and happiness, too. Showing up for what actually is in my life is how I remain present, how I practice self-love. Seeing all 365 of my photos in a single file from instagram in one place, I see my year. Good, bad, difficult, easy: they're all just labels. I have to be here for the entirety of my life. The multiple exposures, which definitely dominate the entire year, are a way of showing this multiplicity in action, for me. 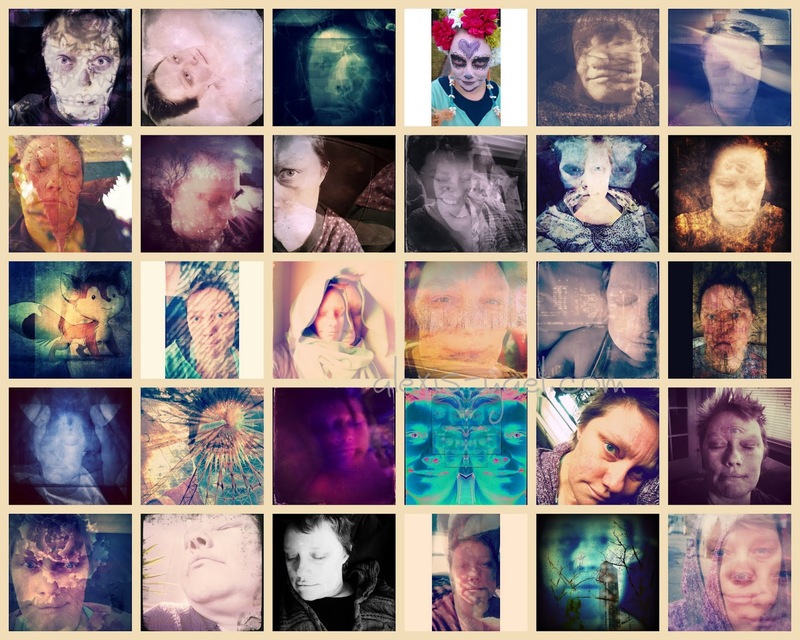 My mulitiplicity of self, the broader multiplicity of life. 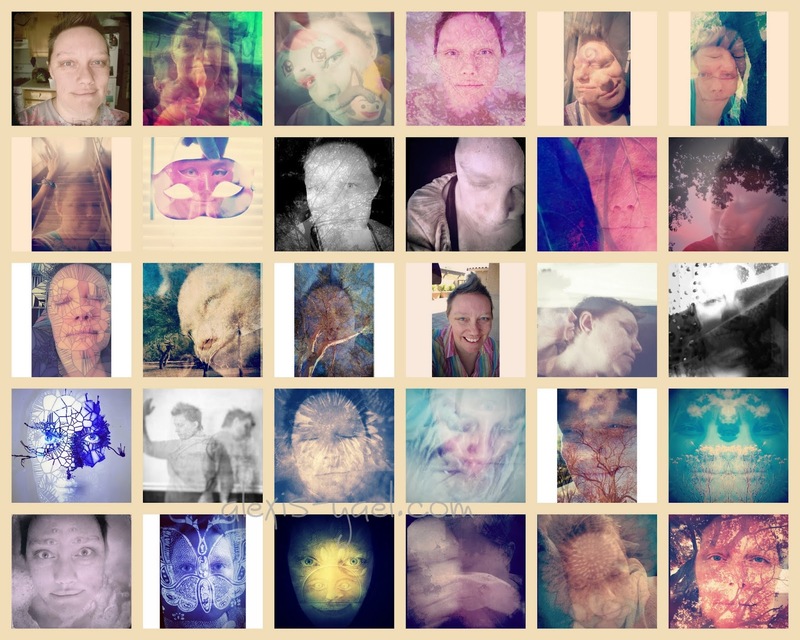 That's why this year, my 365 project is going to be all multiple exposures (#lexsurrealsoul14). Not necessarily self-portraits, I am expanding (and embracing) my daily double exposure practice to include photos of other people (and possibly only landscape/ still life, too, I'm not sure yet - I make up the rules of my projects as I go - right now, there is a portrait of someone in each photo). I haven't yet stopped the daily selfie practice, though, and I am not sure I am going to. Even if it isn't a formal practice, I feel pulled to these daily snapshots of me. Some days double exposure, some days straight out of camera. Pieces of me, pulled into the whole. 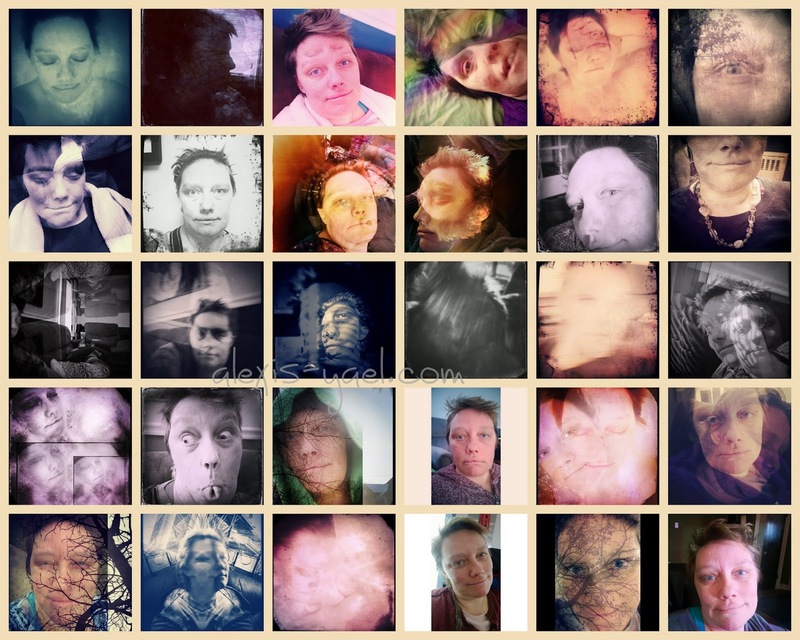 The multiplicity of my self. I highly recommend doing a 365 project. I think it might be easier to start with daily photographs of anything, but that might just be my experience. Start where you want/ need to start. In 2013, I used a personal hashtag (one no one else was using) to collect the photos in one place on instagram. I tried to tag them as I uploaded them, but sometimes I forgot and had to go back. I never forgot to take a photo of the day (most days I actually took more than one photo - I didn't start tagging those until late in the year, but the outtakes of the series are almost as interesting as the series itself - the outtakes usually meant I was having a particularly creative day!). At the end of the year, I used Instaport to download them in a single file from Instagram. Since the files from Instaport are "dated" by the date I collected them on, I used Picasa to sort them by name (which put them in chronological order!) 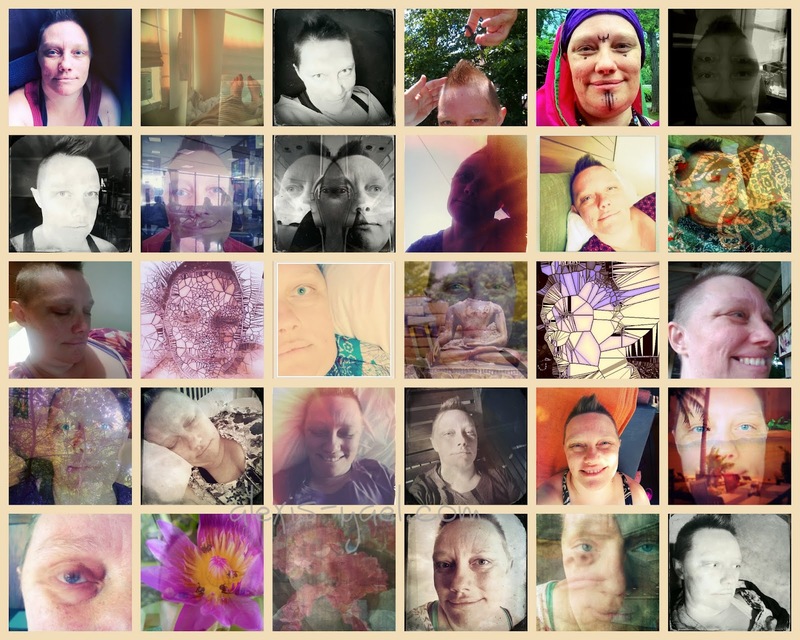 and then made a collage for each "month" (since months don't evenly divide, I separated out five days and showed the first day by itself and the last four days together). I will be printing these out, either as collages or as a book I haven't decided yet. It's easy to do either way, now, since I already hashtagged them. No, I don't have a favorite photo from the year. Or even a top ten list. Not really. Each day, I made the photo(s) that needed to made. I tagged the one that held the essence of the day (if there were more than one). Some days, I only needed one photo. Since I shared them publicly on instagram (something you don't have to do, btw, with your 365 project - you could make them private on Flickr or picasa instead), I know there were some in the series that were crowd pleasers. Some that reverberated strongly with a specific person. Some that other people mostly seemed to dislike, even. There were people who I love who didn't understand the point of the series and who probably hated the entire thing. Who think selfies are narcissistic. That's ok. That's not how I feel at all. Here's the thing: I didn't make this art for you. I made it for me. I shared it because that is what I share with this world, my art, my voice, my passion. 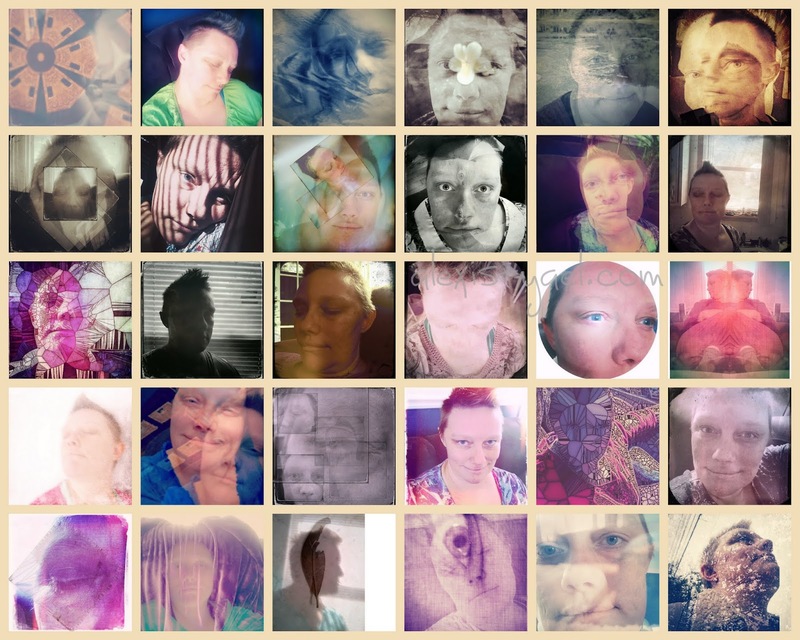 My multiplicity. And not everyone is going to get that. Some people will understand. Some people will be inspired. And that is enough.